Amera Solutions operates a private ambulance service throughout Dallas, Houston, Jacksonville, Miami, San Antonio and Tampa. This is a much-needed service as public services cant cope with the demand. As the population grows and ages, the demand for private ambulance service will increase. The are several benefits to a private ambulance service. These include availability, flexibility, reliability and level of service. The fact that these services are available means that a demand is met. It means people can get to important medical appointments and facilities. It also relieves relatives and loved ones from a transportation burden. 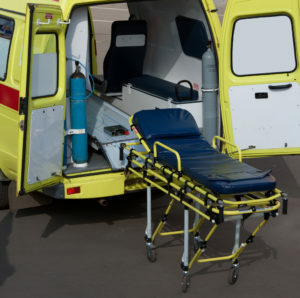 Private ambulance services provide flexibility in terms of vehicles and plans. Amera operates a fleet of vehicles that range from normal sedans to custom ambulances. They can cater for general medical transfers, ambulance transfers as well as wheelchair and handicapped transfers. Amera also offers flexible plans. They can help whether you need once off transfer, weekly transfer or daily transfers. Reliability and services are also important components of an ambulance service. If you call an ambulance you want to arrive and arrive on time. You also expect to be well-taken care of by stall who are properly trained and understand the meaning of customer service. Medical transportation is often more than just getting a patient from point A to point B. Medical appointments often require scheduling and coordination between different role players/ Amera provides a turn-key solution when it comes to ambulance service and medical transportation. This includes medical booking, transfers and coordination. They can hep with easy one-time outpatient procedures to complex medical transportation. They can help with sedan, an ambulance, a wheelchair van and even an air ambulance. If you need a medical transportation and ambulance service in Dallas, Houston, Jacksonville, Miami, San Antonio or Tampa, then you need look no further than Amera Solutions. This entry was posted in Uncategorized on October 11, 2018 by Amera Solutions.